Colorado dumped the Flames to even the series as they head home to Denver. Well, if you’re one of those people who wanted to see if the Flames could handle any adversity in the playoffs....you’ll be happy. 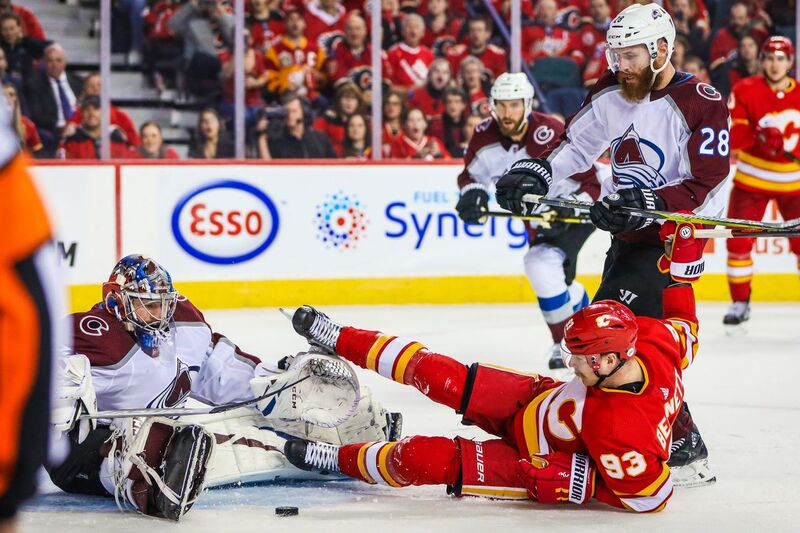 Calgary fell to the Colorado Avalanche Saturday night in overtime and the series is now even at a game apiece. 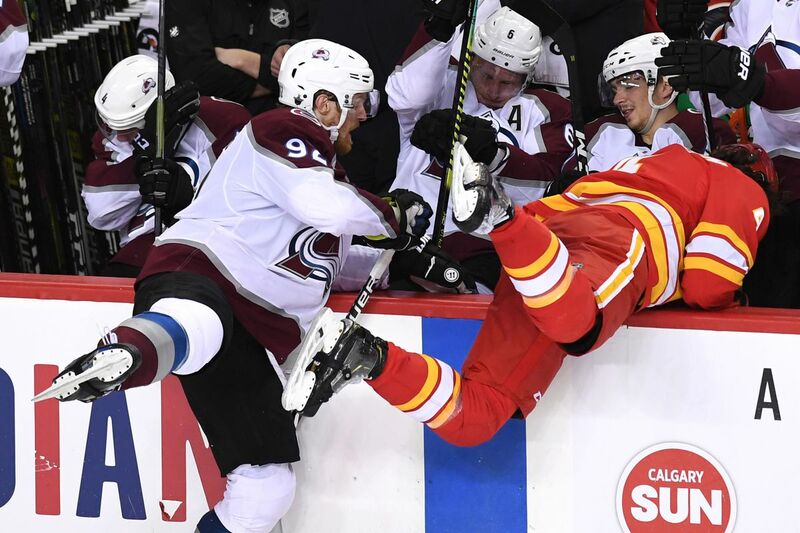 Calgary came out slow on Saturday and the hottest team in the NHL coming into the playoffs pushed the Flames to the extra session after a late third period goal erased a one goal lead by Calgary. Now, not all is lost with the Flames either. Both squads needs to get something from their big guns and Calgary’s top crew started to show some signs of life. Sean Monahan scored and Johnny Gaudreau had an assist, so as top lines go, Calgary got a good performance from a unit that was MIA during game one. But what is keeping the Flames afloat is everyone else....especially Sam Bennett. Bennett leads the Flames in points so far with three and he now has nine points in 17 career playoff games. He also has eight hits in the two games so far, which is good for second on the team behind Garnet Hathaway. The Flames are going to need better results from their stars, but more performances like that from their “lunch pail” type players will certainly help along the way. 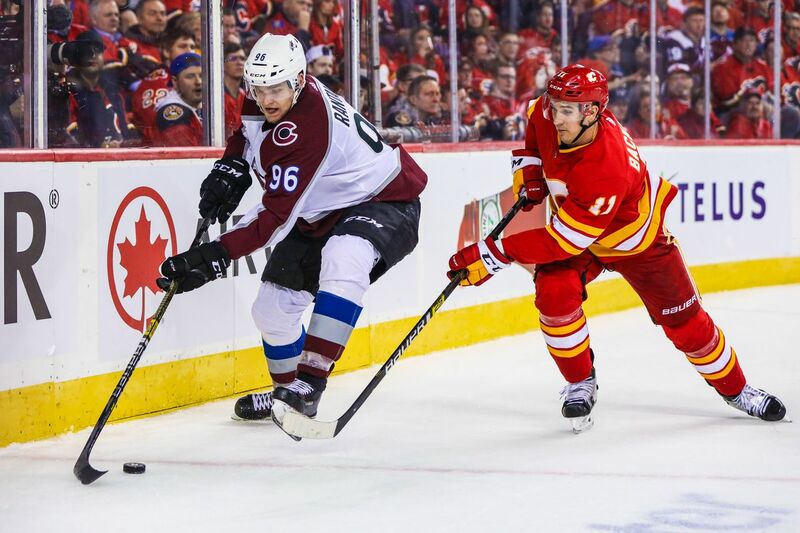 Western Conference Playoffs Round One Preview: Game 4, Calgary Flames vs Colorado Avalanche Time for the Flames stars to wake up or they’ll be playing golf with the Lightning before you know it. The Morning After Colorado, Playoff Edition: Another Fitty For Smitty Dude, stop making life hard on your goalie. One Trio Came To Play & It Ain’t The Trio from Calgary Colorado’s much hyped top line is making the Flames look silly and the Calgary’s three best don’t appear ready to answer the bell. The Morning After Colorado, Playoff Edition: Maybe You Don’t Give Up That Many Shots....Maybe Colorado pummeled Mike Smith last night.